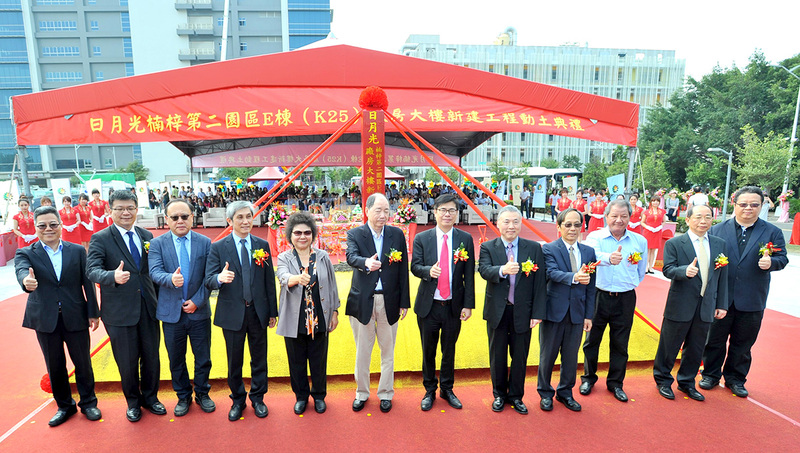 Kaohsiung, Taiwan, April 3, 2018 - The ASE Group broke ground today on its latest factory building – K25, located in the Nantze Export Processing Zone 2 in Kaohsiung, Taiwan. The building is scheduled to be completed in the year 2020 and is expected to create more than 1800 job opportunities. The K25 building will be ASE’s state of the art facility with a high degree of automation, intelligent manufacturing processes and smart logistics. K25 will have a total of 355, 800 square feet of floor space that will be used to research, develop and manufacture advanced semiconductor chips in applications for IoT, robotics, data science, artificial intelligence, self driving vehicles, high end graphics and more. The design and layout of building K25 has been carefully planned using local and global green standards, fulfilling the company’s commitment to corporate sustainability. The ground breaking ceremony today was officiated by Chen Chu, Mayor of Kaohsiung and Jason Chang, Chairman and CEO of ASE.